Astute investors take note! This private one-bedroom townhouse offers light and bright spaces, easy access to the town centre and walking distance to Wombat Hill Gardens. 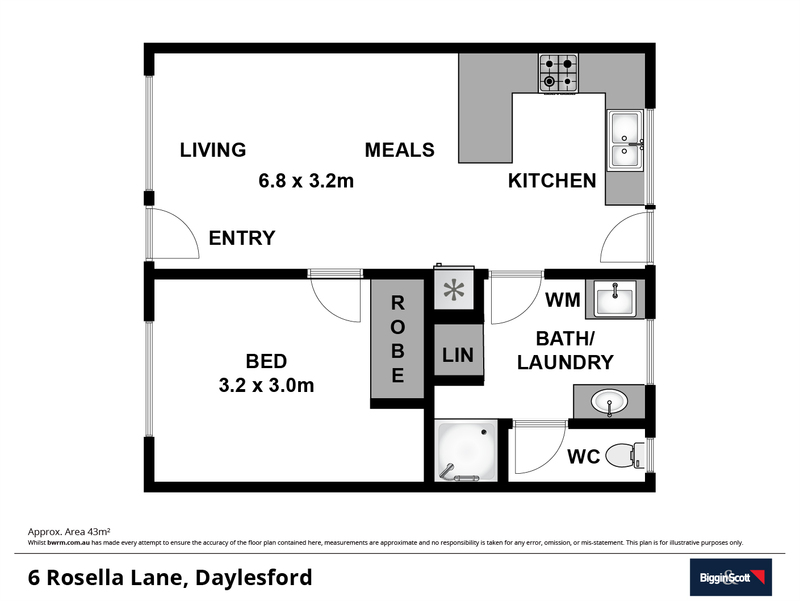 The floorplan consists of three main spaces, kitchen/living, combined laundry/bathroom and bedroom with BIR. The kitchen features gas cooking, breakfast bar dining, modern subway tiles and gas heating. Currently on the permanent rental market and showing a good return this unit would be an ideal weekender, bolthole in the country or rental investment.